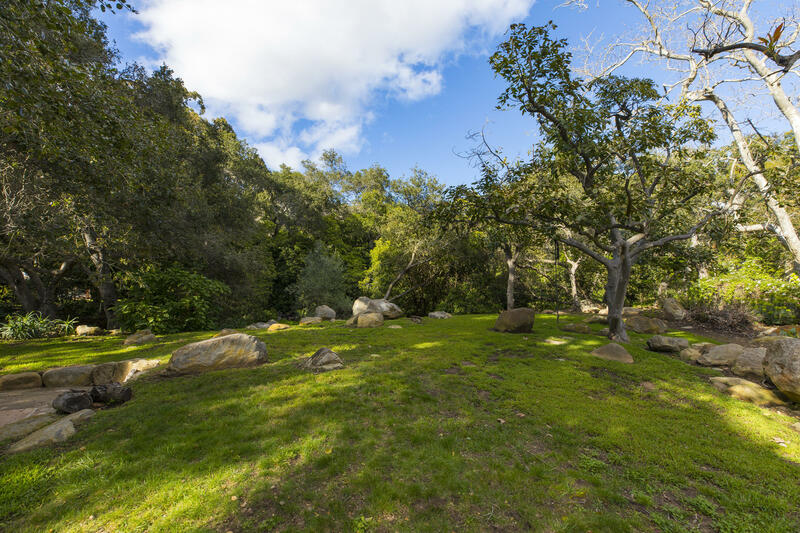 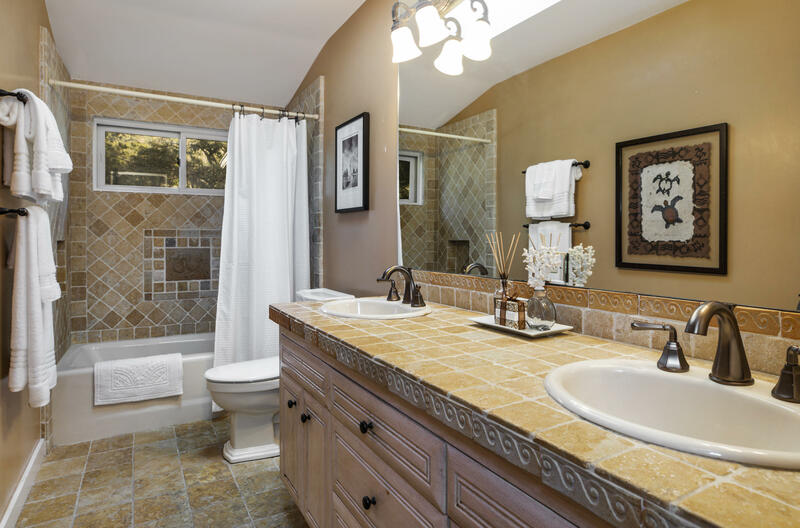 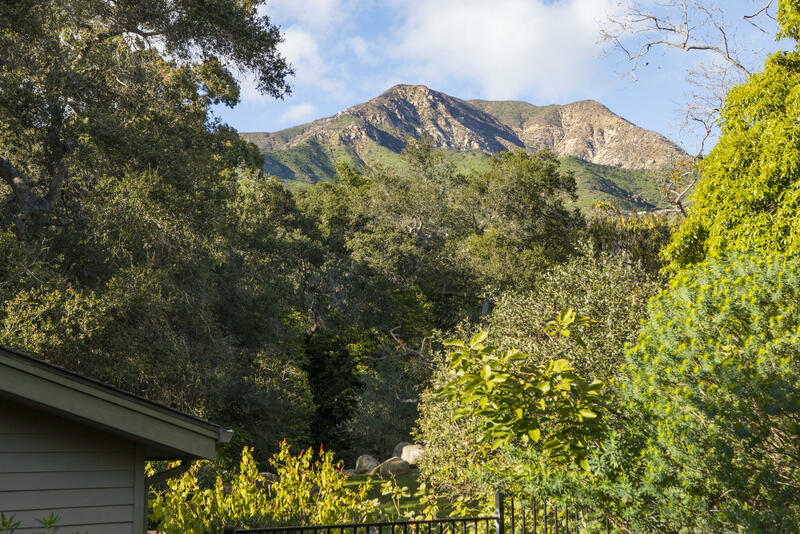 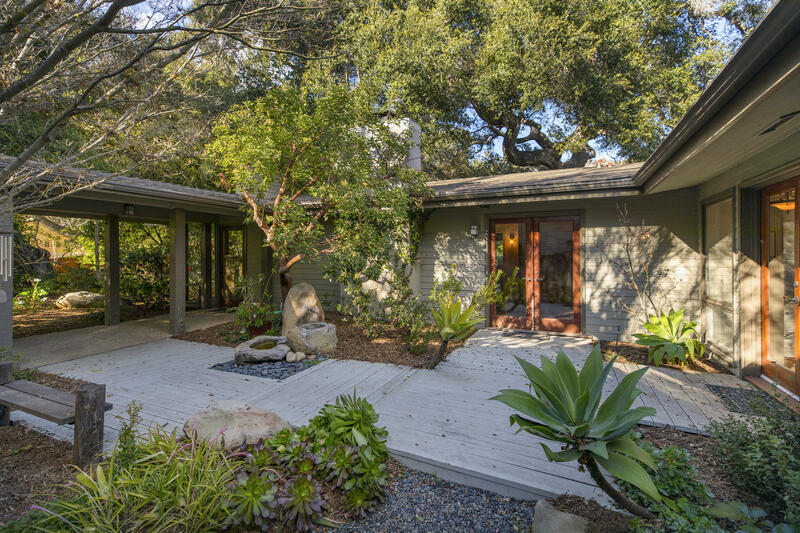 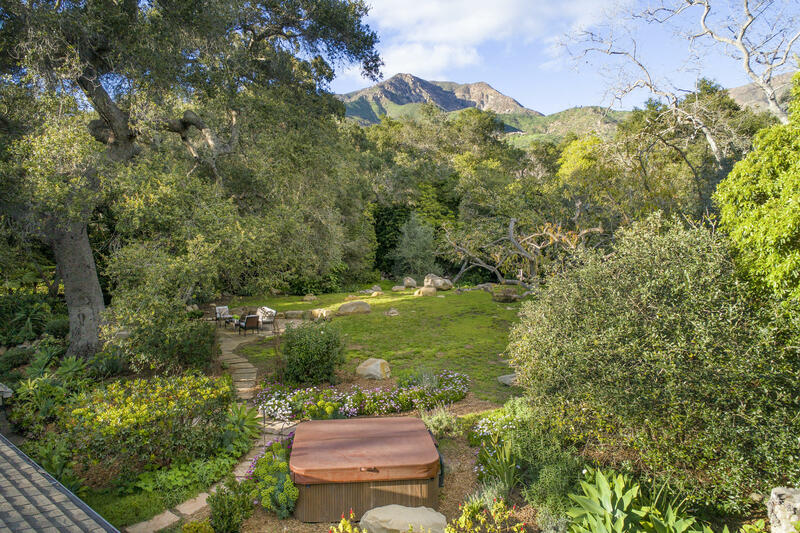 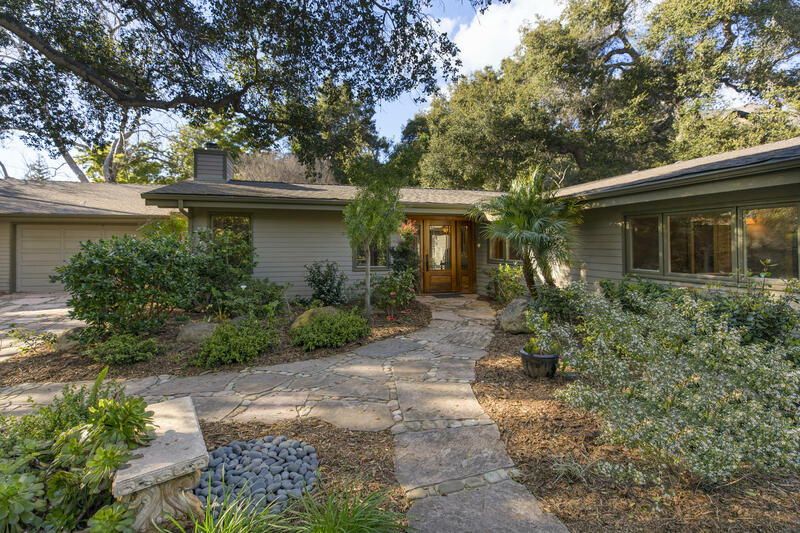 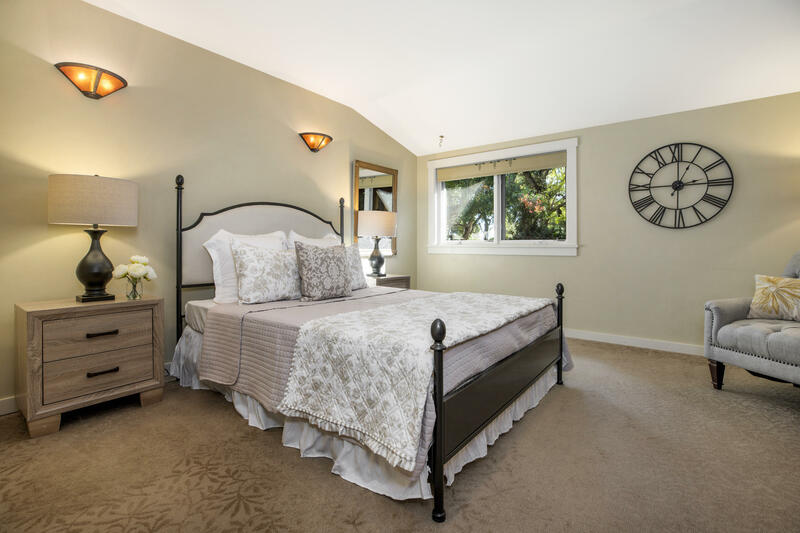 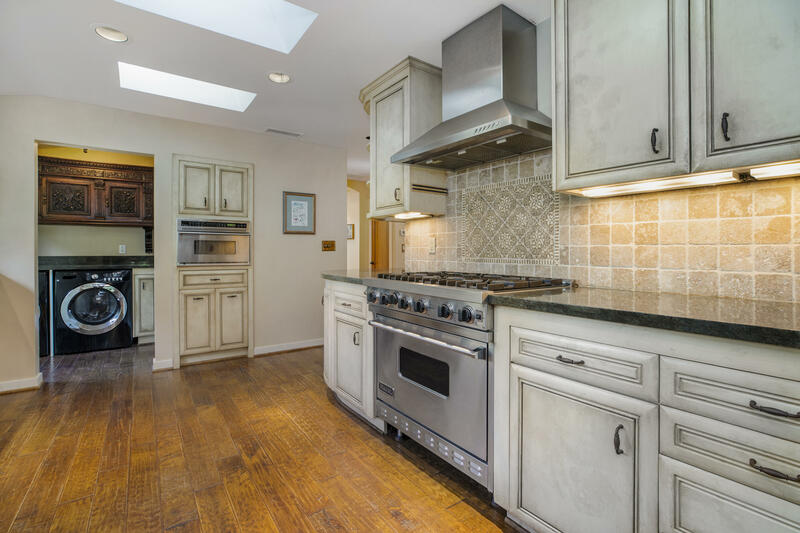 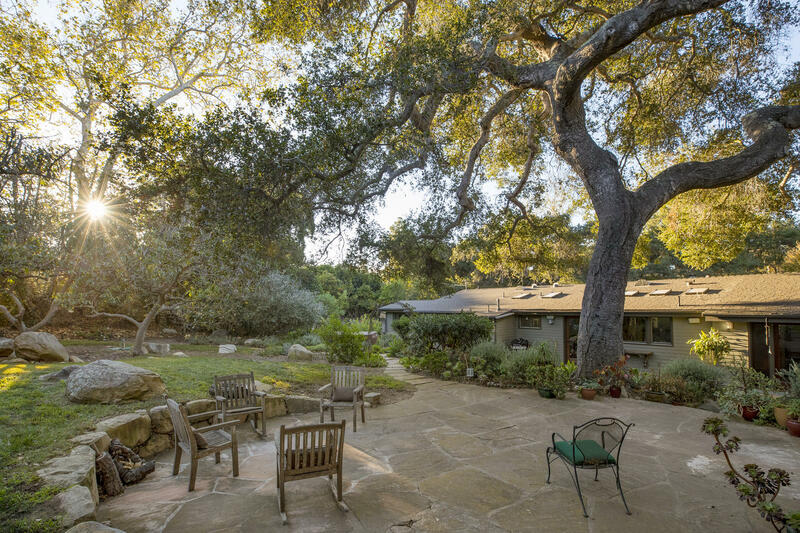 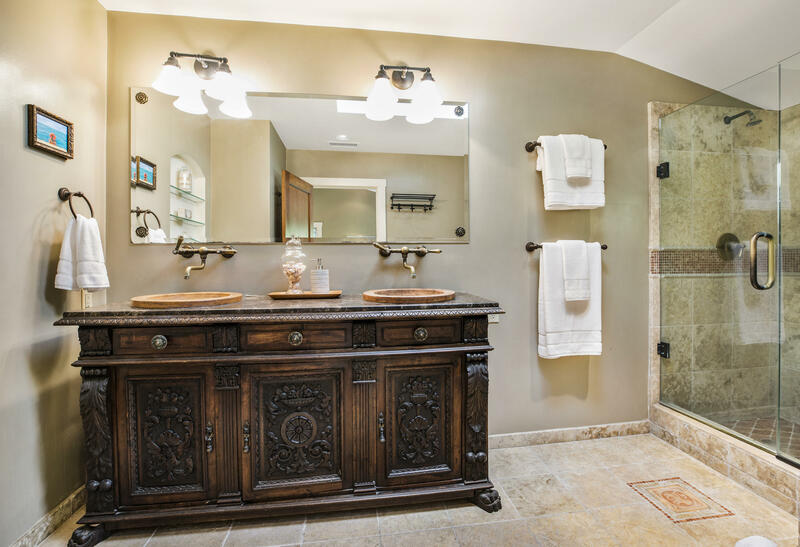 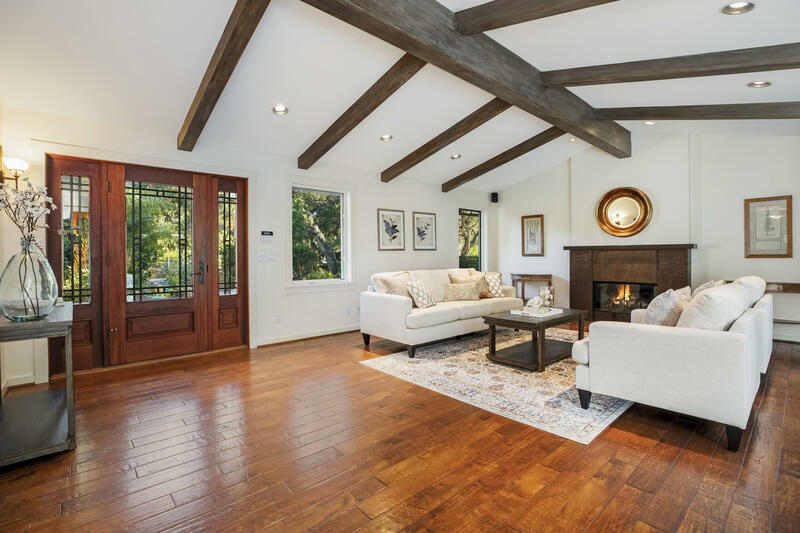 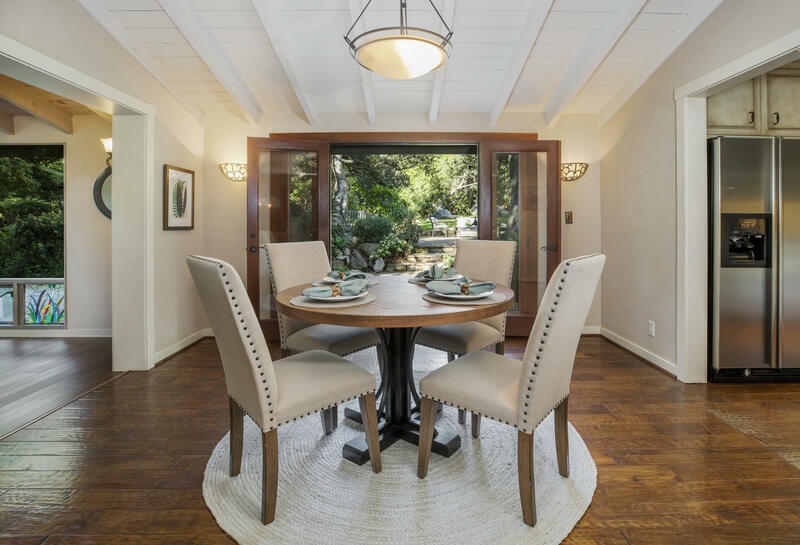 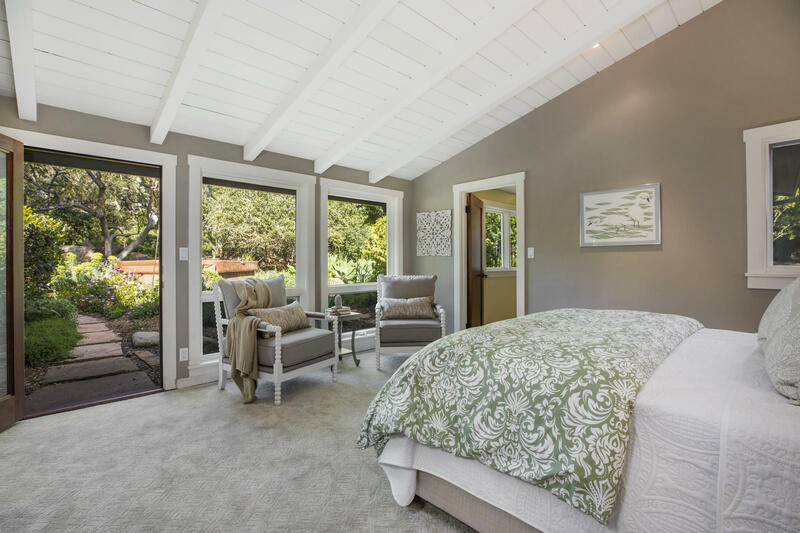 Shaded by a grove of towering oak trees is a beautiful craftsman ranch tucked in the mountain foothills of Montecito. 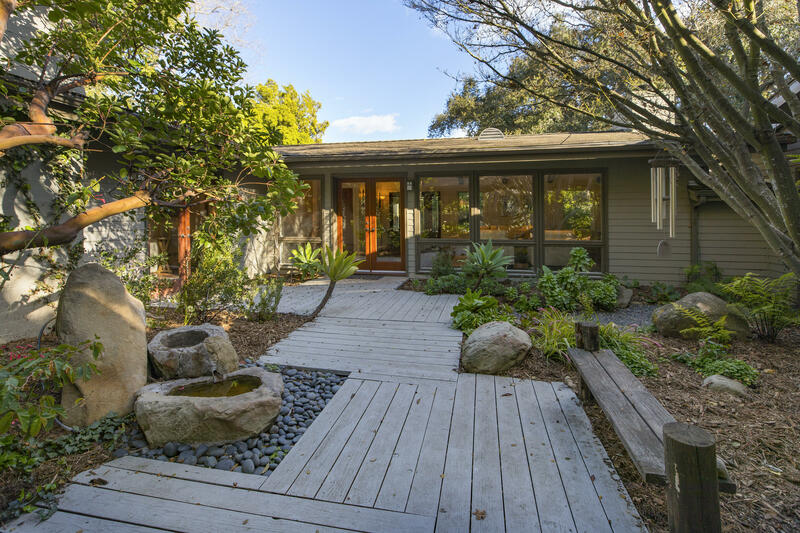 The atmosphere is peaceful, serene and inviting, and with walls of windows, plentiful skylights and numerous glass doors, the home is saturated with natural beauty and light. 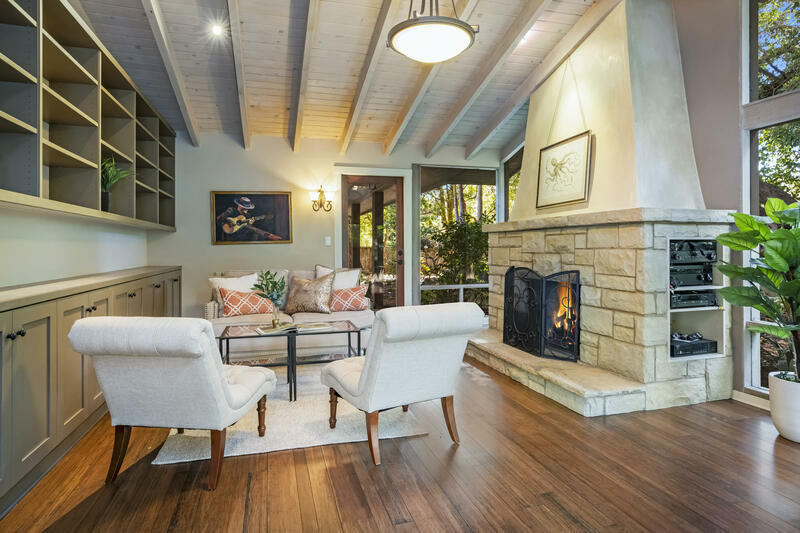 The dwelling is spread out over a single, well-constructed level and offers three distinct living/family rooms--each with a fireplace and vaulted ceilings. 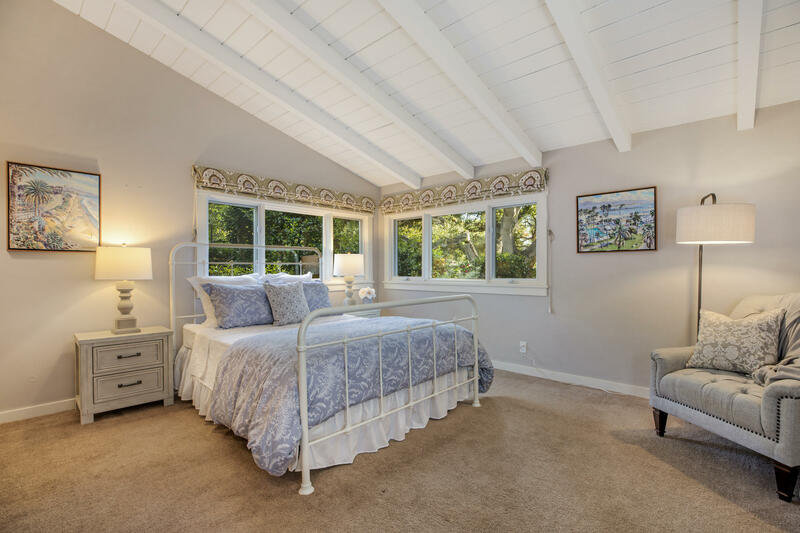 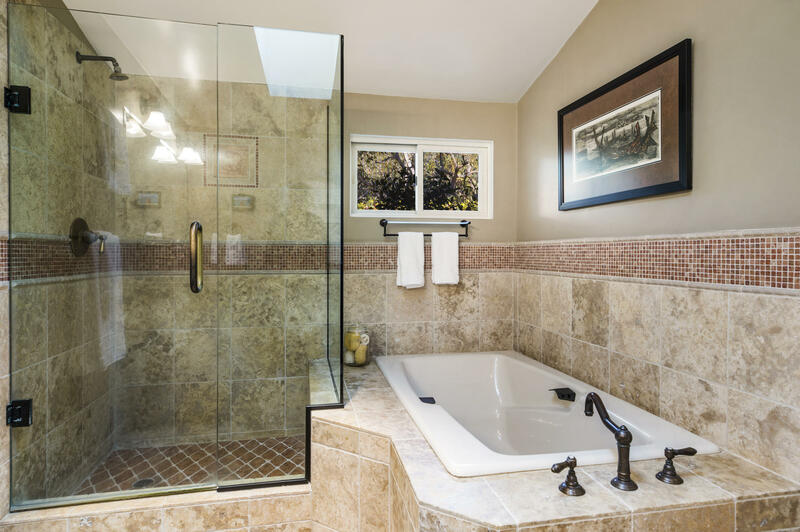 And there are four bedrooms, including a master suite, three and a half baths, and secluded guest accommodations with it's own kitchenette. 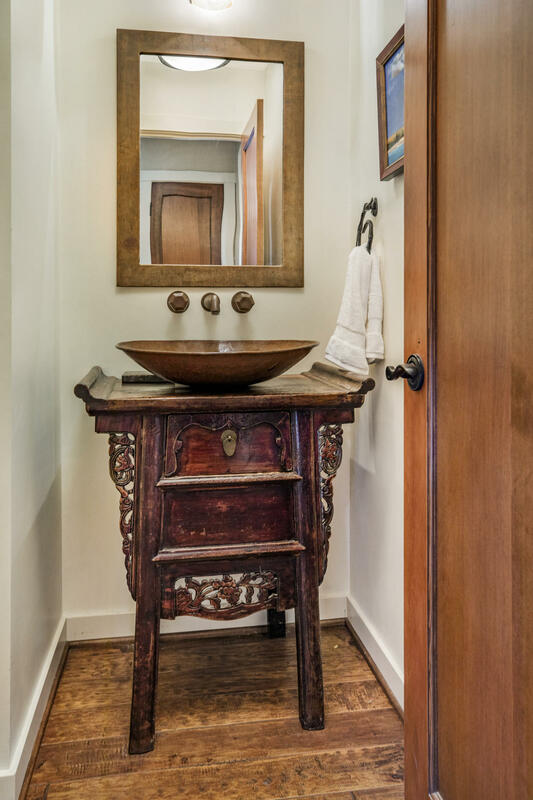 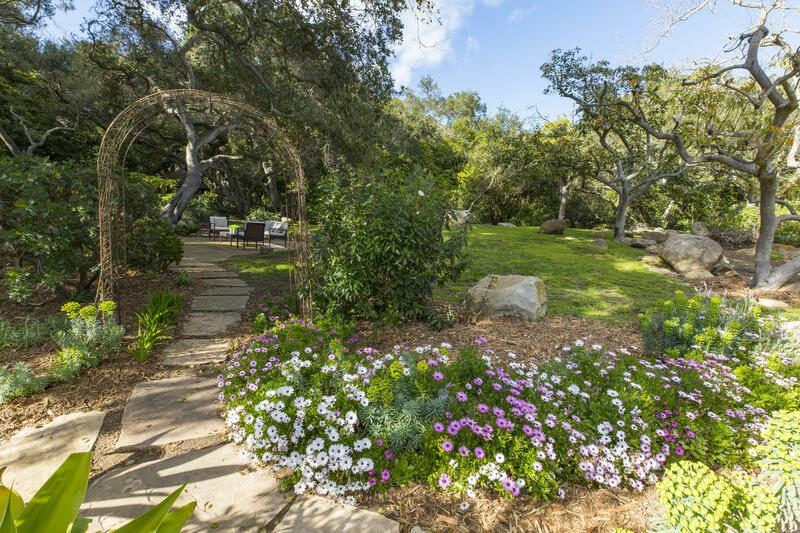 Surround yourself with the natural and cosmopolitan splendors of Montecito in a home designed as a retreat for the soul.